If you are interested in computers and techie gadgets, chances are good you have heard of D-Link – a company that offers an innovative approach to home networking. D-Link products are sold at several major retailers such as Best Buy, Sears, Amazon, Lowe’s, Staples, Target, Walmart OfficeMax and more. Be sure to check out D-Link online and on Facebook and Twitter to see all of the awesome products that they offer! Now more than ever, multiple family members need access to a computer to manage school work and other responsibilities. Setting up a home computer network makes sense for many families. For parents of younger kids, you might want to keep tabs on their online activity while you are away from the home. The D-Link Cloud Router 2000 (DIR-826L) lets you monitor your home network from anywhere on your iPhone, iPad or Android device using the free mydlink app. You can see websites that are being visited, block unwanted devices and receive automatic email alerts when unauthorized connections are attempted. The Cloud Router 2000 also provides high-powered dual-band wireless connectivity–up to 600 Mbps–for great HD video performance. Wirelessly access your favorite movies, music, and photos on your iPhone, iPad, or Android device from any connected USB drive. 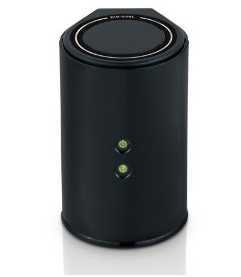 For gamers and HD movie fans, the Cloud Router 2000 has four Gigabit ports for blazing wired speeds. If you have ever considered using a surveillance camera to keep tabs on your home, the D-Link DCS-930L mydlink-Enabled Wireless-N Network Camera is a discreet and flexible way to check on your home, children, or pets in real time–even on an iPhone, iPad, or iPod touch. I can see this coming in handy if you have someone watching your kids after school, or if your kids are old enough to stay home for a few hours alone after school but you want to know what they are up to! What I like about this camera is that it is easy to set up, and you don’t need a computer to use it! The DCS-930L is a complete system with a built-in CPU and Web server that transmits high quality video images for security and surveillance directly to the network without the need for a PC. Simple installation and an intuitive Web-based interface offer easy integration with your Ethernet or Wireless-N (802.11n) wireless network. To set the camera up, simply connect the cables, plug in the camera, run the short installation wizard and setup is complete. To view what the camera is seeing, simply log on to mydlink.com, choose your device, and start viewing–there is no need to configure your router to open up ports or remember hard-to-memorize Internet addresses. The D-Link DCS-930L mydlink-Enabled Wireless-N Network Camera works with the mydlink iPhone and Android app for on the go viewing – nice and convenient! 1 lucky winner is going to receive both the D-Link Cloud Router 2000 (DIR-826L) and the D-Link DCS-930L mydlink-Enabled Wireless-N Network Camera to try for themselves! 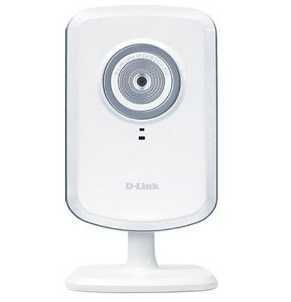 This post sponsored by D-Link as part of the Win Giveaways 2012 Back to School Giveaway Bash. This post was written by me and was not edited by the sponsor. Read more in my disclosure policy. Find more information on the terms for this giveaway on the Win Giveaways Facebook page. My laptop is essential to our life! I use it for storing family pictures and then sharing them with family and friends. I use it for my business and to serve in the community and church. Essential! It would be hard to have to go without my smartphone. I can’t live without my turntables. Oldschool? yes, but you’ll never have vinyl “crash” on you! shared on Fb with your button (Rust Hawk). I couldn’t live without my ipad -which my kids use mostly for games and netflix! They know more about it than I do! My computer since I take online classes for college. what technical device you could not live without – My Laptop! My iPhone is something I can’t live without. I could NOT live without my phone or my computer! Can’t live w/o my laptop! My cell phone is always by my side. I would be lost without my iPhone. Literally, since I use the GPS in it all the time! I couldn’t like without my iPod touch. I’m too much of a penny pincher to pay for iPhone monthly service, so I carry my cheap “dumb” phone and my touch. i could not live without my computer and an internet connection! I would love to win this I need a camera for my elderly/sick mom and this would be a great help for me. I am already subscribed to this blog in my reader. That is how I found out about this giveaway. Would love to win!! right now my computer. thanks alot. Toss up between my cell phone and ipad. I could not live without my smartphone. Yes well I know it sounds hopelessly outdated, but our big old desktop computer is the one thing that gets used everyday! I subscribe to your daily email. I could not live without my cellphone, but if that’s a given, then I need my laptop next most! I could not live without my phone. It keeps the family connected. I used to think it was my laptop until it was stolen in a break in. Now the only technology I have is a smartphone and it doesn’t let me print my copons. So want another computer but the idea of someone stealing it again is putting me off. I so want this for protection and surveilance. I am an email subscriber. Don’t get Facebook and twitter. I can’t live without my laptop. This would be great for the whole family. This would be awesome to check up on my kids. my laptop is most precious to me! I couldn’t live without my PC! I could not live without my computer. Couldn’t live without my laptop. My laptop then my iPad. I cannot live without my laptop! I have to have my iPad. I can not live without my ipod touch. I could not live without my cell phone! I go nuts when I accidentally leave it at home…get all nervous that I will need it for an emergency! But really, I’d die if my laptop went! I couldn’t live without my cellphone! I could not live without my netbook! It would have to be my laptop! I could not live without my laptop! I couldn’t live without my iphone. Wouldn’t even want to think about it! I cannot live without my laptop. I use it for everything. I can;t live without my phone! Laptop, just cant live without it. I could not live without my iPhone! i couldn’t live without my netbook.